What is the Fortnite x Avengers Infinity War cross over and how can you find the Infinity Gauntlet? THE hottest video game and film of the moment are about to be united. 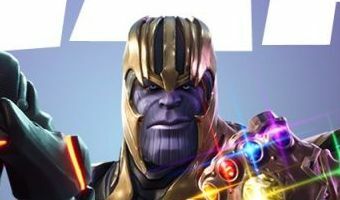 Video game developers Epic Games has just announced it will add Thanos, the baddie in the superhero movie Avengers: Infinity War, to its huge hit Fortnite – for a limited time only. The marketing concept will come in the form of a new mode called ‘Infinity Gauntlet Limited Time Mashup’. Players can search for and try to collect the Infinity Gauntlet which contains all six Infinity Stones, and once you have these you turn into Thanos and get given a boost of power. 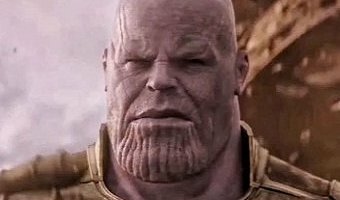 According to Infinity War directors Joe and Anthony Russo, the pair are big fans of the game, and they would often play rounds of Fortnite while editing the film. Epic creative director Donald Mustard told Entertainment Weekly: “Out of the blue, I get this call from Joe. Most read in newsBIG CAT HORROR Toddler eaten by leopard at safari park after being dragged away from nanny HOT WHEELS Brits face hours stuck on packed motorways as … [Read more...] about What is the Fortnite x Avengers Infinity War cross over and how can you find the Infinity Gauntlet?